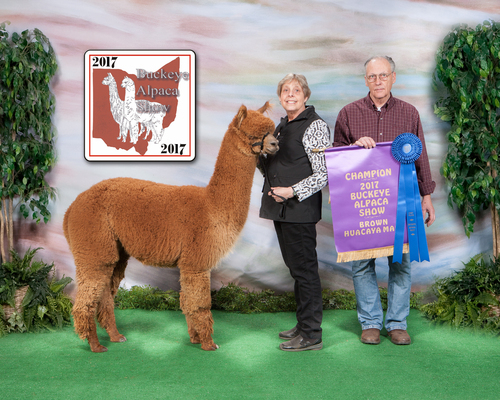 "JUMANJI WINS DARK HERDSIRE OF THE YEAR in 2017 and 2016, RESERVE LIGHT HERDSIRE OF THE YEAR in 2016, 2017 and 2016 MEDIUM BREEDER HERDSIRE OF THE YEAR AND DARK GET OF SIRE AT BOTH THE PRESTIGIOUS 2017 AND 2016 FUTURITY"
Liberty Belle is a beautiful, medium brown female with perfect conformation since the day she was born. Her fleece is bright, shiny, soft, dense and delicious. What more could anyone ask? Libby took 1st place at NAAS - right out of the gate. (Her first show). 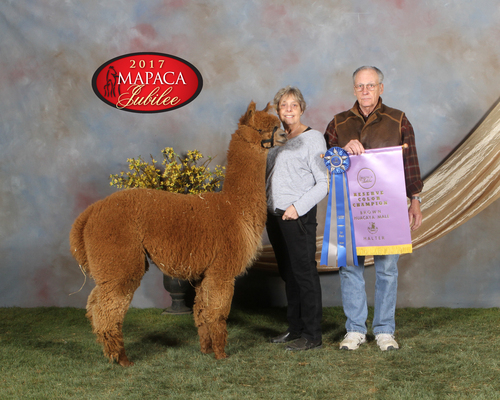 At MAPACA the judge stated that she caught her eye the minute she walked in the ring. At the NE Expo the comments from the judge were exactly the same. Not only does he have exceptionally nice fleece, his conformity is "spot on". He hails from the mighty Peruvian Jumanji, and lives up to the greatness instilled by the Jericho/Jeremiah/Jumanji line of genetics. We could state all the usual about Drifter - crimpy fleece, nice handle, etc. etc - but we will let his show record speak for itself. Drifter is definitely worth considering for any upscale breeding program. 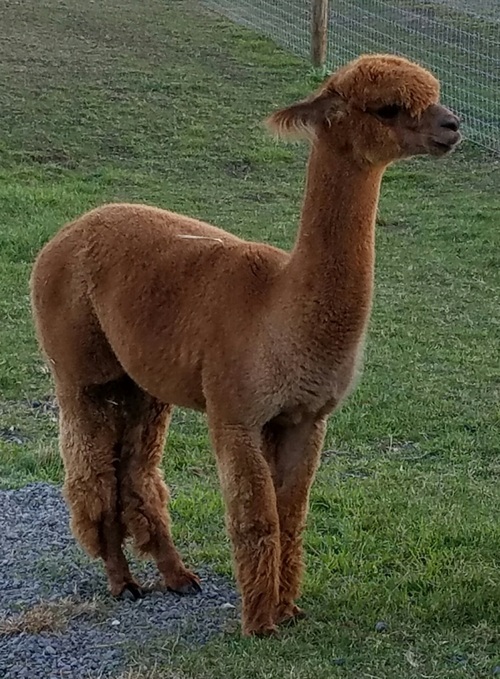 Drifter has settled his first female, with a 2019 cria due mid-August. Can't wait to see the results, whether he's on our farm or yours.